Gladwell has a new book coming out... about Outliers. One thing these outliers have in common, is that they all put in 10,000 hours - that's 3 hours a day for 9 years - to become exceptional. The obviously question is, do you have to be an exceptional person, to stay focused to put in that many hours for that many years? Or if we could all put in 10,000 hours focused on something, would we become equally exceptional? And how are those 10,000 hours spent? One thing I know from my experience, is that one of the keys is keeping on going ... no matter what. Another is paying attention while we do that. How many times do we have to get whacked on the head by the zen master before we see the light. I think another thing, is that when we spend this much time on something, we begin to trust that we know what we are doing, and don't second guess ourselves. Ultimately, I think we begin to let go, get out of the way, and tap into something bigger. 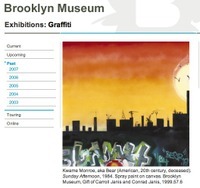 Brooklyn Museum was doing an exhibit on Graffiti a couple of years ago. So their team brainstormed about what they could do around building community with this exhibit, what kinds of activities and engagements could they undertake. I’m not sure how it all evolved, but this is what they ended up doing. Encouraged people to go around Brooklyn and take pictures of graffiti, join the Flickr group and post their photos. 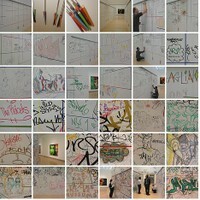 created a little application on line for people to create graffiti and post to the website. Where did the exhibit start and where did it end? Who is the artist, Who the participant? 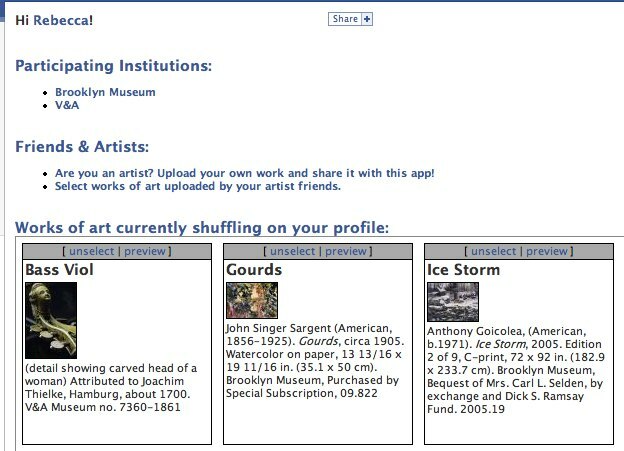 Which part is the virtual gallery and which one the real one? 'Their process is so organic. Everything they are doing is coming directly out of the work’. Yes, that is one of the essential ideas about creativity – risking letting go, then tapping into (not controlling) an organic process. I think these ideas are related, but I haven’t really sorted out how. What do you think? 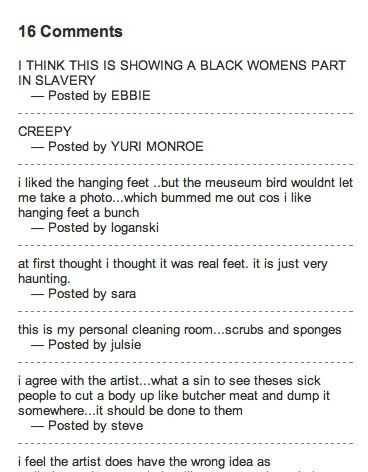 Is this what creativity is about? How does being exceptional relate to this? Linking into the essence of something, and then just being open to all the ideas that come up?